Athena is just four years old when a strange man whisks her away in the night and leaves her with her grandparents. When Athena is told that her parents have been killed, she doesn’t speak for a year—except in her sleep. The nightmares are relentless; she can’t escape them. On her eighteenth birthday, Athena overhears her grandparents talking. They’re hiding something and it has to do with the death of her parents. When the town drunk forces his way into Athena’s home, he tells her a story that makes her blood run cold. Athena finally discovers the truth about her past and it changes her future forever. A malevolent king. A world in peril. One young woman to save them all. 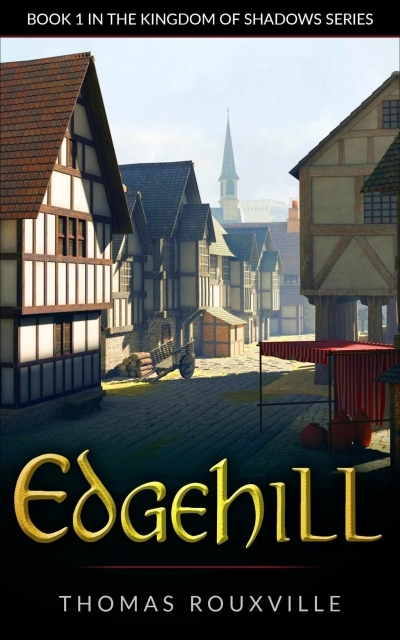 Edgehill is the first book in The Kingdom of Shadows fantasy series by author Thomas Rouxville.